Guangfentou site is located at the Guangfentou mountain in Luju town of Jiangchuan county, Yuxi City in Yunnan Province. The site is scattered from the halfway up the hill to the top of the mountain. The site was discovered during the investigation in March, 1984. As endorsed by the State Administration of Cultrual Heritage, the Yunnan Provincial Institute of Cultural Relics and Archaeology, the School of archaeology and museology from Peking University, the Administration of Cultural Relics of Yuxi City and the Administration of Cultural Relics of Jiangchuan County were jointly conducted an archaeological excavation in two stages from November 2011 to June 2012. 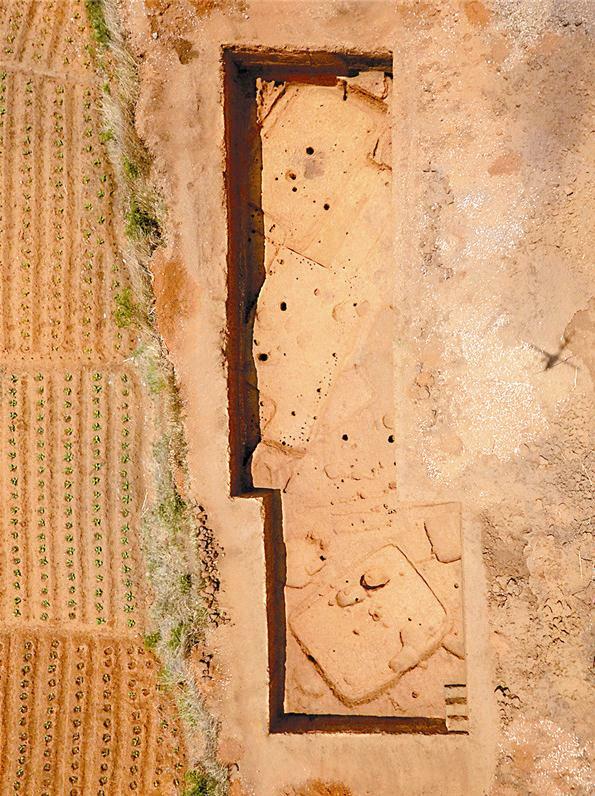 The excavated area was around 600 square meters and the area of the identified site was around 170,000 square meters. 26 semi-subterranean dwellings, 30 ash pits, 11 activity surfaces related with construction were being exposed. 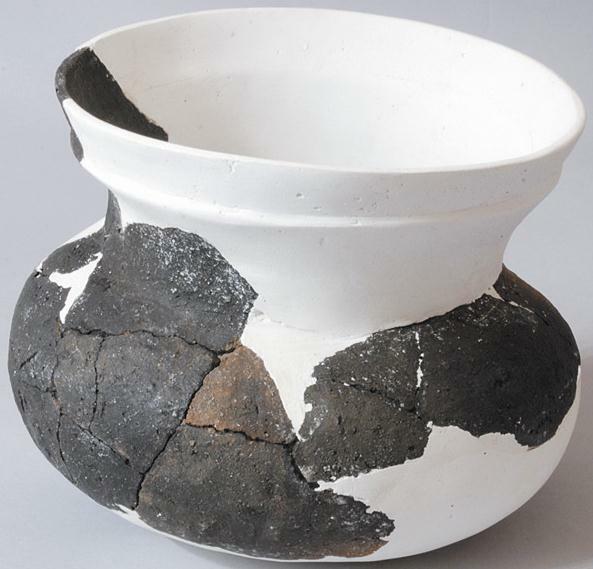 4,089 pieces of artifacts were identified and the majority was pottery. Typical examples include small basin with interlocking rim and plate with concentric circle pattern. Other than that, pottery cauldron, pot, plate with ringed foot, basin were found. Various types of artifacts including bronze, stone, bone, horn, clam, jade wares were also unearthed. 400 samples ranging from copper slag, soil samples from flotation and sediment samples were also collected for further analysis. The site is regarded as shell mound site and the gastropod shell deposit layer is more than 5 m thick. Large amount of bone tools with processed traces and animal skeleton were being found. Typology of these bones including shellfish, clam, fish, bird, mammal species such as ox, dog, pig, horse, sheep, deer, muntjac, bear, rhizomys, mouse, boar, rabbit, etc. Most of them were shellfish, clam and fish. Small amount of artifacts from later historical period (Ming and Qing Dynasties) were identified including pan tiles with weave pattern, green porcelain sherds, blue and white porcelain sherds and white porcelain sherds. The number of pottery sherds unearthed from earlier period (from Spring and Autumn period--Warring States to Western Han) was relatively more. According to the assemblage of artifacts as well as stratigraphy, cultural layers from earlier periods can be divided into 3 stages. Stage 1 mainly consisted of pottery and the major type was reddish sandy coarse pottery. The major typology was shallow plate with folded rim and small amount of brownish sandy coarse pottery and black pottery were found. Small artifacts mainly consisted of bone and stone tools with limited amount of bronze, jade and perforated clam ware were identified. Bone tools include needle, awl, arrowhead, etc. Most of the stone tools are polished, including adze, axe, chisel, net weight and so forth. Typical remains found in Stage 1 were semi-subterranean house remains, which were cutting directly from undisturbed layer and bedrock in rectangular or square shape viewed from top. A shallow trench was found surrounded the house foundation base. The living surface inside the house was situated at the flat bedrock. Most of these surfaces were either in the middle of the house remains or near the hearth with traces of fire usage. Among these, F14 was preserved in a relatively intact condition. The quantity of pottery from Stage 2 was huge and the texture was mainly reddish clay. The main typology includes small basin with interlocking rim and plate with concentric circle pattern, whereas the number of shallow pattern with folded rim was reduced. Majority of small artifacts include bronze tool followed by bone tool. The number of stone, jade and perforated clam tool were relatively small. 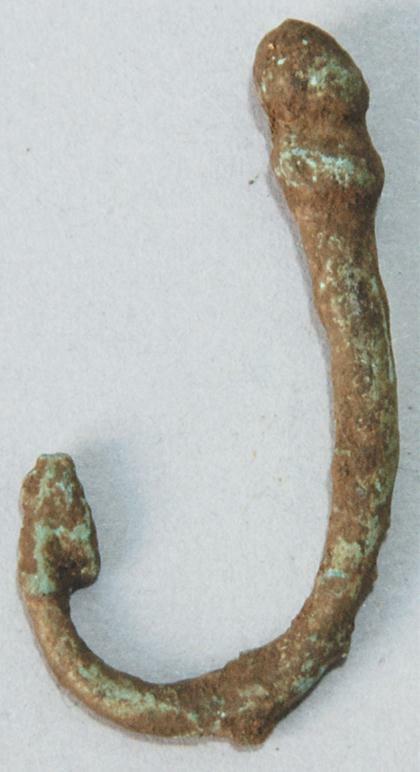 Most of the bronze wares were weapons or hand tools in small size. No container was being identified. Typology of these bronze wares include arrowhead, sickle, chisel, decorated buckle, belt hook, fish hook, etc. Two types of remains, house foundation and gigantic ash pits were identified in Stage 2. For the house remains, it can be divided into three categories, for category I, they were similar to the house remains in Stage 1. For category II, the house remains were a bit different; some of them have a shallow trench paralleling with the wall inside the house activity surface, some of them contained a post hole at the front and back of the walls respectively. No shallow trench and post hole were identified in category III. Some of the activity surface were not situated in bedrock, instead, rammed soil similar to bedrock were used for covering. Four huge ash pits in circular shape were found. The diameter of these pits was around 1-1.5m with 1.2.-1.4m in depth. From the section, one can see that it was in cylindrical or bag shape with flat bottom. These pits contained large amount of findings including small basin with interlocking rim and plate with concentric circle pattern and animal bones and copper slag. Pottery in Stage 3 including shallow plate with curve pattern, the size was small and in rounded base with parallel curved lines inscribed in the inner bottom. Changes of small basin with interlocking rim and plate with concentric circle pattern were not obvious. Most of the pottery cauldrons were made of fine clay in floated finish. The major small artifacts including pottery and small amount of stone, bone, bronze wares with two iron tools in fragments. One house remains and ash pit were identified in this stage and they are located at the western top edge of the site. The house remains was basically identical to Stage 1. House F15 was in rectangular shape with rounded corners. Discarded deposit include small basin with interlocking rim, plate with concentric circle pattern and shallow plate with curve pattern. Ash pit H16 was in oval shape, the length of the open of the pit was 0.9m in length, 0.56m in width and 0.2m in depth. A number of charcoal fragments were found in the filled. Unearthed artifacts include small amount of small basin with interlocking rim, plate with concentric circle pattern and shallow plate with curve pattern.